The AFMA Strategic Plan 2017 – 2019 provides a vital platform to review and inform the evolution of best practice farmers’ markets until 2019 throughout Australia. This Strategic Plan was informed via a consultative process with key stakeholders active in the Australian farmers’ market sector. It was also informed by key documents resultant from farmers’ market research conducted in Australia, such as the RIRDC research study 2014. This Plan identifies where farmers’ markets are now, where farmers’ markets are going and how farmers’ markets will achieve these objectives under AFMA governance. AFMA contributes positively to Australian agriculture, healthier communities and more sustainable food choices by supporting vibrant Australian farm economies and direct farm food production and supply to consumers. AFMA will continue its evolution as a well-recognised national association that is strong, progressive and sustainable, and supports and promotes the viable growth and operation of authentic farmers’ markets nationally. Well-recognised: acknowledged as the peak national entity for best practice farmers’ markets across Australia. Progressive: embraces innovation, is adaptable to change and is well positioned to take advantage of opportunities. Sustainability: has capacity to be self-reliant and in regular pursuit of beneficial economic, environmental and social gains. Promotion: provides information and advice on farmers’ markets and their differentiating features and values to stakeholders – farmers, consumers, communities and governments. Viability: profiles farmers’ markets as a reliable alternative supply chain option for farmers and specialty food makers to profitably sell their produce. Growth: enables farmers and specialty food makers a positive farmers’ market environment in which to grow and enhance their businesses. Authentic: supports farmers’ markets whose operations align with the AFMA Charter. AFMA was established in 2003 in response to the emergence and growing number of farmers’ markets across Australia and the recognised need for a united and consistent voice on issues affecting all farmers’ markets. Working collaboratively provides both leadership and beneficial platforms to support a sustainable national farmers’ market sector. AFMA is currently a voluntary-run, not-for-profit organisation coordinating and supporting farmers’ market development in Australia. Primarily AFMA acts as an umbrella organisation, assisting the formation of a network of authentic best practice farmers’ markets and supporting the viable and self-sufficient operation of existing and future farmers’ markets. There are a number of farmers’ market operating models, some being defined by varying forms of accreditation and governance. AFMA views this definition as representing an authentic best practice farmers’ market.That is, a food market where the stallholders are only the farmers, their families or farm staff. The emphasis is placed on farm-direct and artisan or specialty-made food products. Other non-edible products can be offered for sale including plants, seeds, flowers, worm farms, compost, fodder and small livestock like poultry. AFMA’s national priority is to set consistent criteria to guide the operation of best practice and viable farmers’ markets. AFMA is the national body whose role it is to guide and support the states and territories and regions in their role of establishing and maintaining authentic best practice farmers’ markets across Australia. Advocates agreed national principles for the operation of farmers’ markets, which guide and give credibility to state and territory and regional activities that can be used to illustrate the differentiating features of AFMA affiliated farmers’ markets. Supports state and territory and regional farmers’ market associations and networks through the coordination of national activities that will benefit farmers’ markets. Plays an active role at the national level advocating and promoting the value of and opportunities for authentic farmers’ markets. Facilitates national, interstate and cross-regional partnerships and alliances that will benefit farmers’ markets across Australia. Creates and shares information, develops tools and accesses relevant expertise and training to support existing and proposed authentic farmers’ markets nationally. AFMA is the umbrella organisation that guides state-based farmers’ market associations or networks. AFMA membership comprises a minimum of five members and a maximum of ten members with representation from each state and territory where possible, one representative from a regional cluster, and two additional members. The AFMA Committee convenes at least twice per year and additionally as needed. Activities currently undertaken by AFMA are resourced through volunteer contributions, interest groups and government grants. Farmers’ markets provide many unique benefits that give them a strong competitive advantage and distinct identity over other mainstream food retailers. This status is critical to ensure benefits continue and accrue for farmers and value-add food producers, for customer loyalty and a sustainable trading environment. As food globalisation expands and food quality reduces, farmers’ markets can offer local communities, consumers and farmers significant economic, environmental, health, and social benefits. Economic benefits for farmers through the provision of a ready-made low cost marketplace to sell their produce direct with greater profit margins and opportunity for food business incubation using on-site cost effective market research. Environmental benefits through reduced packaging and ‘food mile’ transportation, and greater opportunities for farmer knowledge transfer and collaborative environmental on-farm activities eg: shared composting, Landcare. Health benefits through public food and nutrition education, community based food security programs and consumer incentive to increase fruit and vegetable and other nutrient-dense food consumption, and a guaranteed fresh food product. Social benefits through revitalisation of towns and public spaces and facilitation of interaction between consumers and producers and increasing consumer satisfaction knowing they can support ‘local’. The farmers’ market sector encompasses farm businesses, value-added food makers, market operators and managers, state-based farmers’ market associations, and consumers. In addition, AFMA engages with national media to promote the organisation’s aims and to contribute to public conversation about maximising returns to the farm gate, healthier communities and sustainable farm economies. The following strategic areas have been identified as key priorities for AFMA to address under this Plan. Priority 1: Grow AFMA financial security to continue to undertake advocacy, consultative and administrative roles, notably in support of newly formed state organisations. Priority 3: Grow AFMA organisational capacity and the establishment of relationships with state-based farmers’ market associations aand organisations, and other relevant industry bodies. 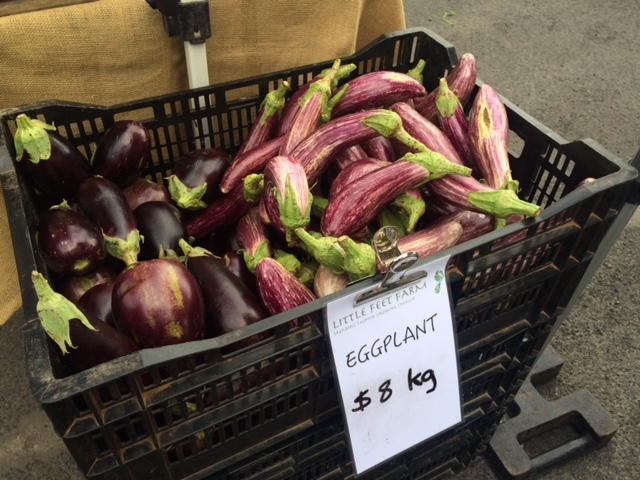 Priority 4: Develop promotional and branding resources to heighten awareness of farmers’ markets in Australia. Priority 5: Develop resources and training initiatives for market managers, farmers and food producers participating in Australian farmers’ markets.